In a previous World Cup match against Denmark, 36 young women were thrown out of the game for allegedly participating in a publicity stunt by Bavaria beer in orange dresses like this one. 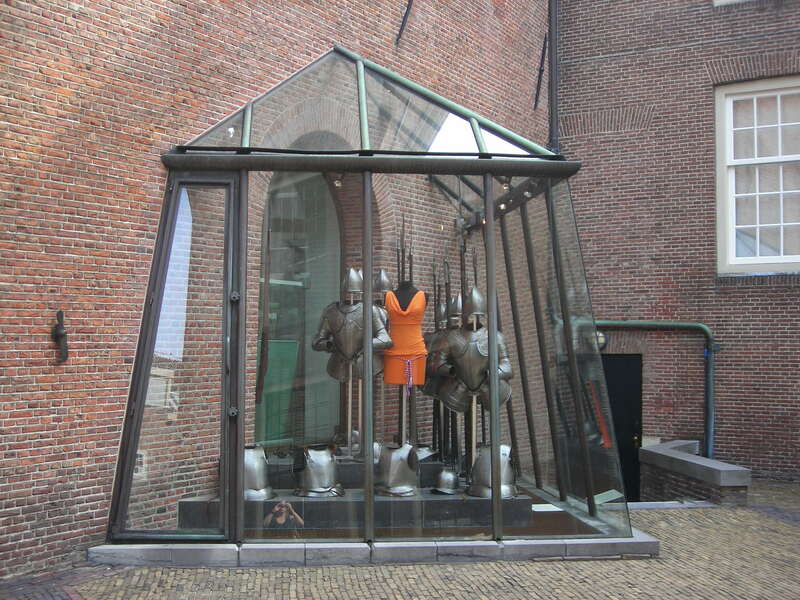 Several online sources quoted museum spokesman Hester Gersonius: “The orange dress stands for ‘originality, cheekiness, entrepreneurship, creativity and humor, in short, all qualities that belong both to Amsterdam and our museum.” I love the contrast with the armor, and the fact that the museum was able to respond so quickly to an incident that everyone in Amsterdam was talking about. 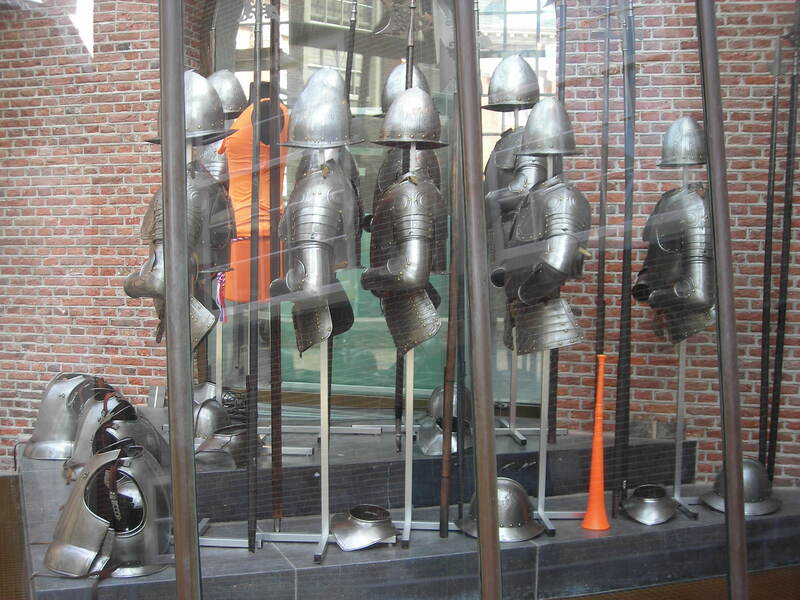 Of all the city museums I visited in Europe this year, Amsterdam Historical Museum was one of my favorites. Stay tuned for more discussion of its strengths in subsequent posts.